Recently, I’ve been asked when I’m planning to bring Mayer to self-hosted WordPress installations. The short answer is that I don’t have a definitive answer, but I am working on the Pressware shop. The longer answer has more to do with my current backlog of work and the things that I’m trying to accomplish before doing so – that is, it has a lot to do with what’s happening within the Pressware pipeline. To that end, I thought it might be worth sharing the current plans I have for Mayer, the eCommerce gateway I’m working to setup for Pressware as well as my current theme backlog. As it stands right now, Mayer is still only for sale on WordPress.com. I’ve enjoyed having the theme for sale in the WordPress.com marketplace, but I am wanting to expand to the self-hosted brand of WordPress installations. Before doing that, there are a few things I’m working on with respect to the core theme that I want to roll out to WordPress.com before I’m ready to roll it out for self-hosted installations. Improve the core code documentation so that the self-hosted version of the theme can ship with documentation ready for developers. Prepare an in-depth manual for users so that they know how to use the theme inside and out. Introduce a couple of new features that are based on feedback that I’ve received. There are a few other technical aspects that I’d like to take care of prior to releasing it, as well but that falls more inline with the Pressware eCommerce gateway. It should be no secret that the majority of the work that I do out of Pressware is contract work such that I’m providing solutions for other. This is something that I really enjoy doing and don’t foresee myself stopping anytime soon. However, that’s not to say that I don’t enjoy the product side of things, as well. That is to say that Mayer is but one of the things I’m hoping to begin selling over the next year or so. Integrating the inventory for both the plugins and themes I’m looking to begin selling. So those are the high-level things that I need to take care of in order to get Pressware’s shop up and running, but that is still predicated on the idea that I have more than a single product to sale. 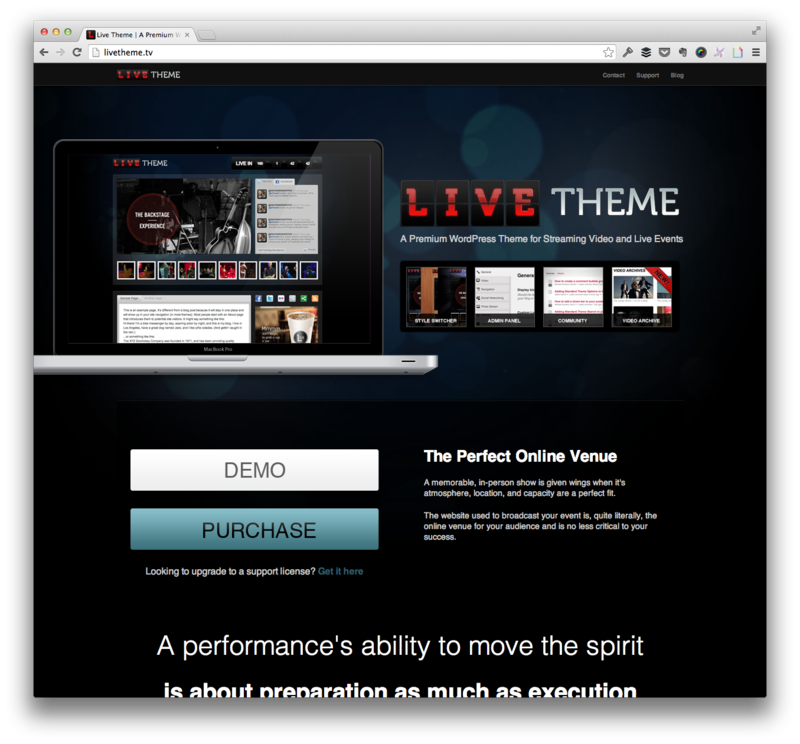 In addition to Mayer, I’m currently working on developing the next version of Live Theme, as well as two other themes are in whatever stage you call pre-alpha stage. Though this particular theme will not be sold under the Pressware shop, it is currently my active theme development project and will likely be so for the next few months. But after that, I have two other themes planned for which I’ve already put together all of the necessary ideas, color schemes, fonts, etc., that will go into the them. Additionally, I have the target audience for the them in mind as well as a names (that I’ll share later). Perhaps it’d be cool to blog about the journey of creating a theme from scratch and all of the various things that it entails. I don’t know. Thoughts? Anyway, I know that’s not a lot to go off of, but suffice it to say that if you’re a blogger who uses third-party networks such as Twitter, Instagram, Path, and/or are more of a casual blogger than anything else, then at least one of these themes is designed especially for you. Aside from the usual demands of the daily grind, that’s my long term plans as it relates to Mayer, Pressware, Live, and my upcoming, unnamed theme. This doesn’t take into account other ongoing projects such as the WordPress Plugin Boilerplate, but it should help to give a clear example as to what I’m looking to achieve over the next months (or even into early 2015). I would LOVE to see a blog series on this one! Can’t tell you how helpful it is to read about others’ experiences navigating the commercial theme/plugin/hosting landscape – particularly as I’m working down this path myself. Thanks for the great post and keep ’em coming! I think this is a really good idea. I had not previously thought about documenting my process through creating a theme through inception to delivery, but why not? You’re not the first person to ask so I’ll see what I can do! I think it would be a great set of articles to write about building a theme from scratch. I would certainly be interested in the steps you go through even BEFORE you touch the keyboard. e.g. How do you select your target audience? How do you go about selecting fonts & colours etc. Check out my comment to Mickey. I think I’m going to go for this. A series of posts on theme development would be great. 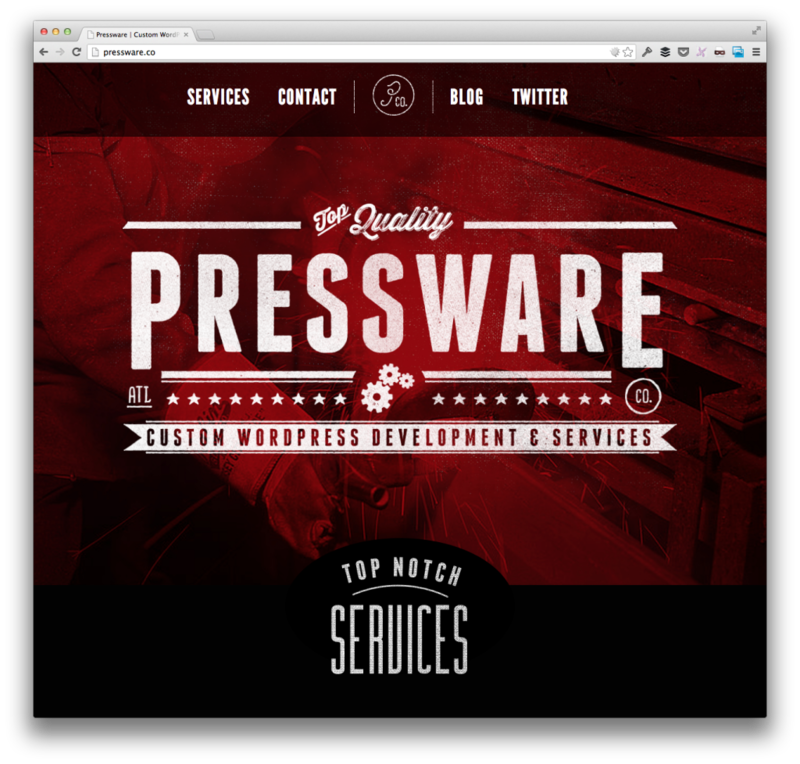 I’d like to hear more about the one-off projects you do for clients through Pressware. Happy to discuss however the one caveat is that sometimes I’m not at liberty to talk about them. For those that I am, I’ll do what I can!